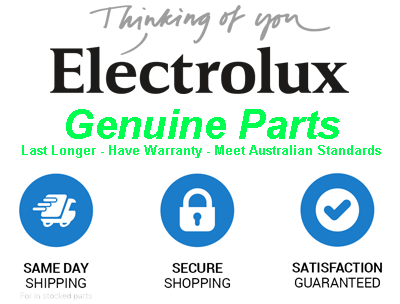 This is a genuine Electrolux element (who are the manufacturers of Chef, Simpson Westinghouse and AEG). It has a low profile Chrome trim attached which is 5mm tall. The element has 2 spade terminals which the wires clip onto.& this one also comes with a pressed steel mounting plate which attaches like a cover underneath. 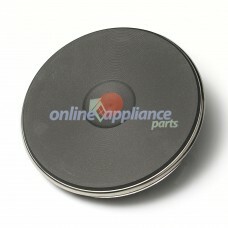 Fits many stoves including Chef, Simpson, Westinghouse, Whirlpool and more. 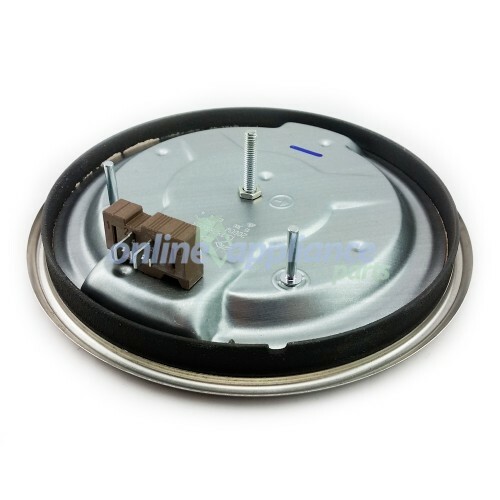 Corresponding Small Cooktop Element: 1500w 6" ES5560. Also known as stokes 3402,& 0122004420, and many others. If replacing 0122004367 (64A354B*00 64A354W*00 PAD501RS*00 75A975W*05 75B954W*01 75B975W*01), use short spacer 445300. Otherwise use existing short spacer. ES5560 Small Element 145 Solid Hotplate W/Ring 1500W - Low Profile - Spade TerminalsThis is a genuin..